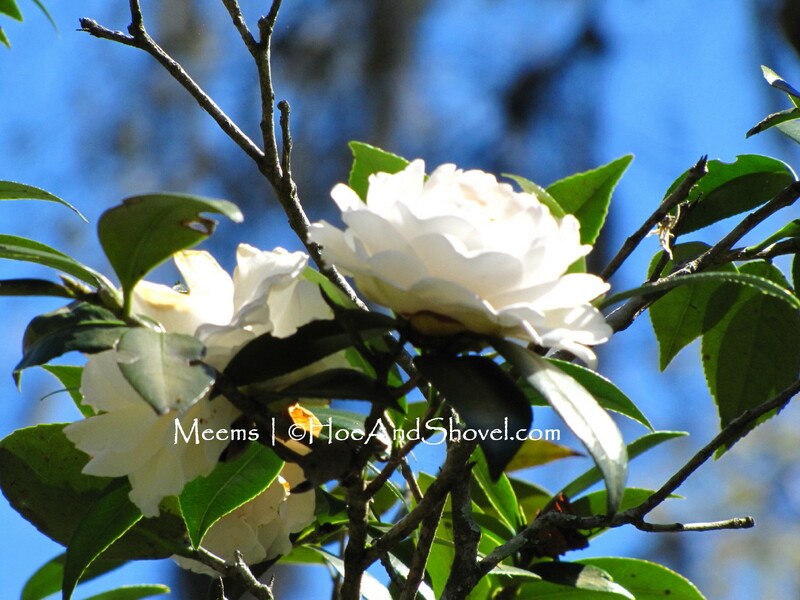 Camellias and blue skies go well together. Florida is always a wee bit early to the Spring Party. Our winter is more like spring than winter. Brightness abounds through our mild winters and transition right into spring without much pomp and circumstance. Formosa Azaleas have been blooming since December in a stunning show of pinks, purples and whites around here. This winter was mild and for the most part pretty perfect in my view. Much like last year and the year before. The oaks in the back garden at Hoe and Shovel putting on new growth is a glorious sight. Our oak leaves don't shed until late winter. They start falling off the trees in February to make way for the new light green growth that rapidly follows. My Cilantro has already flowered. Those tiny white flowers attract our favorite pollinators. Plentiful sunshine and mostly warm days keeps the bees around. 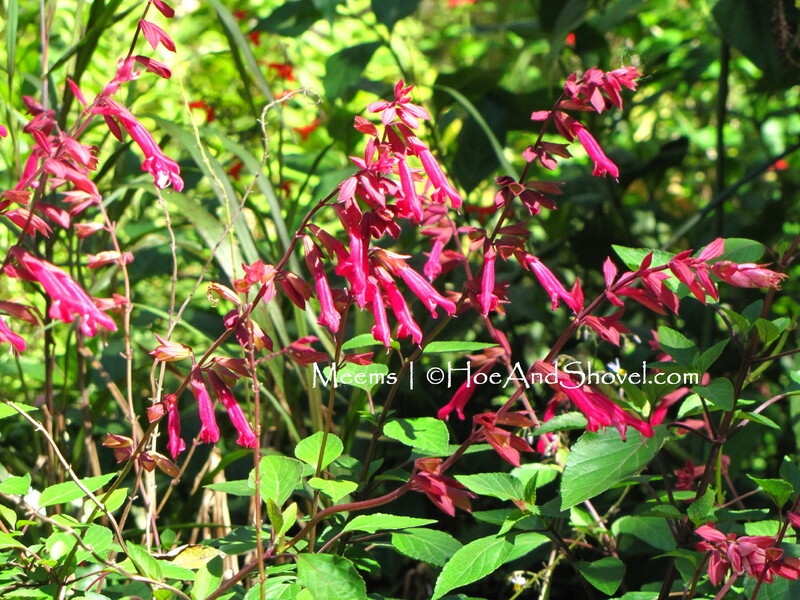 Salvia 'Wendy's Wish' blooms year round. Seriously. I LOVE her! Many of the perennials keep right on blooming through winter. 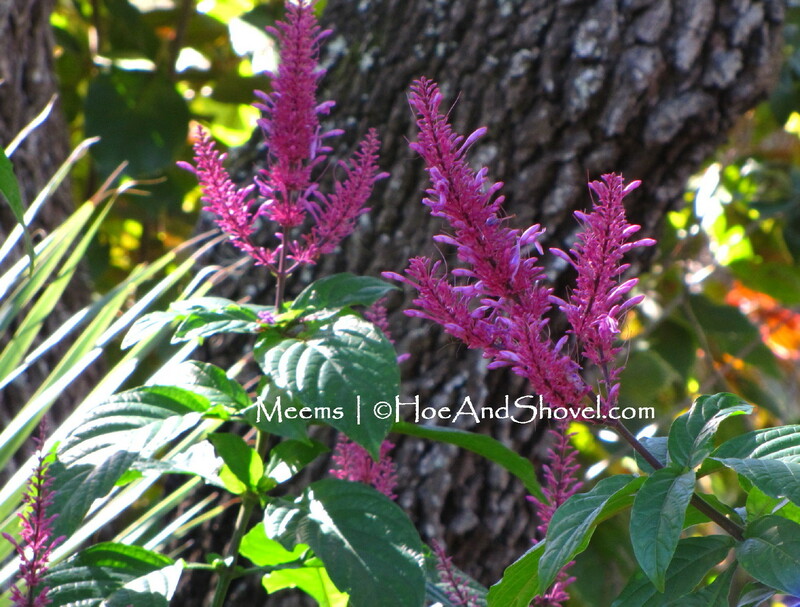 Purple Firespike (Odontonema callistachyum) waits until late winter to blast forth with tubular spikes of pinkish-purple loveliness. Others wait patiently for their time to bloom. When it's their turn they don't disappoint. 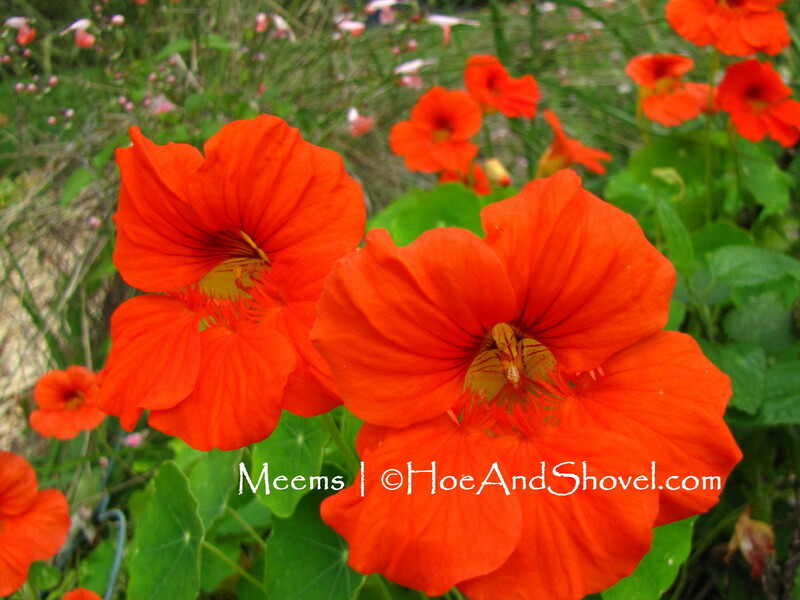 Self-seeded Nasturtiums love our mild winter/early spring weather (me too ~ did I say that already?). Annuals pop back out from seeds scattered in previous years. B. Nelumbifolia ~ just the immature beginning of this beautiful show. February and March is the cue for many of the begonias to send up their stalks of glory. For the rest of the year it is their leaves we adore. But winter/spring flowering begonias that last surprising long are a vision. 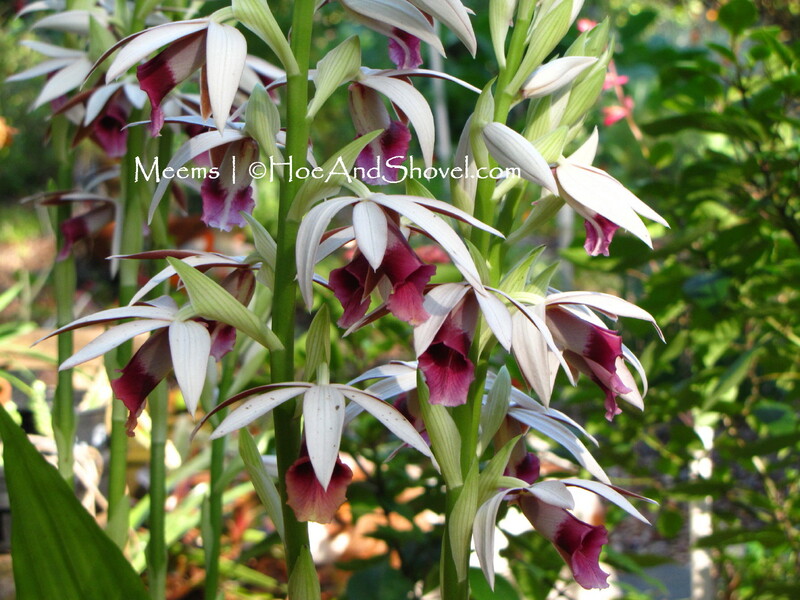 Nun's orchids are a terrestrial plant that peak this time of year. A stunning short-lived bloom that's worth every minute of beauty. 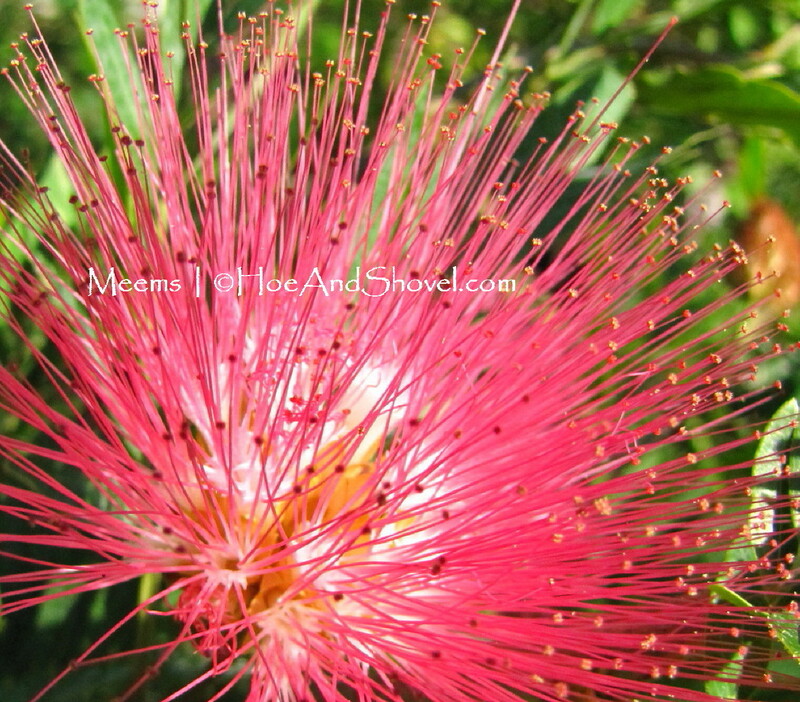 Flowers come in all forms in this sub-tropical climate. Some are almost other-wordly. Ahhh, spring! All things are fresh and renewed! In Florida we cherish the mild weather while it lasts. 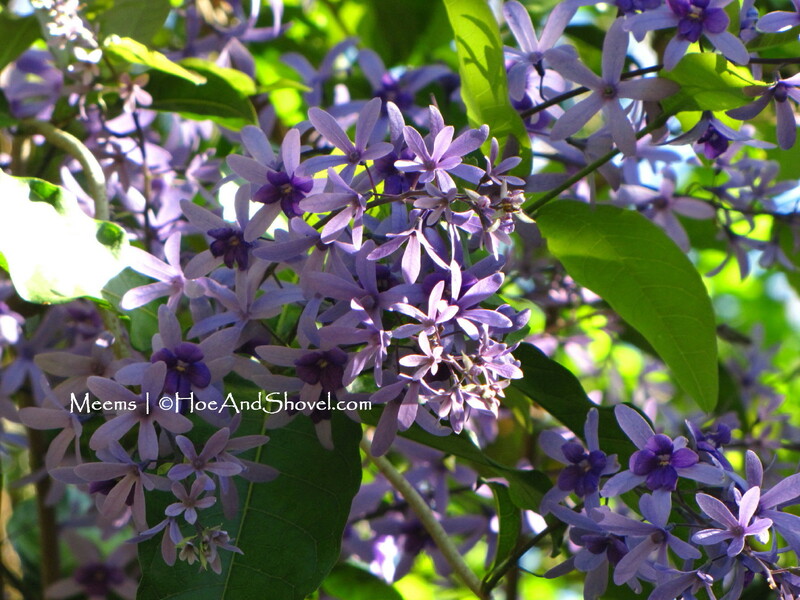 This year there is so much work to be done in the garden as we transition from our mild winter. I'm still working on trimming and pruning. At least it is *growth* I'm trimming and not dead, damaged branches. What's going on in your garden as spring is unfolding? 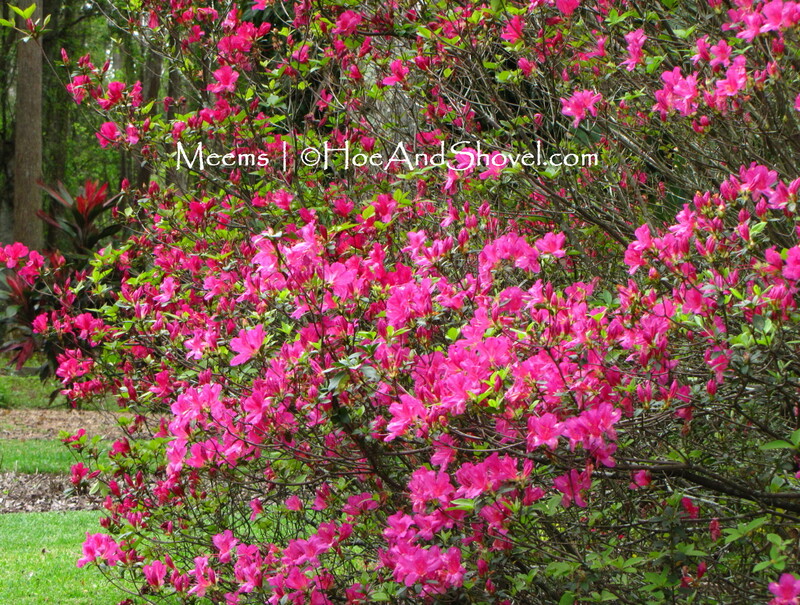 Happy Spring dear Meems ~ It is so good to see a post of your lovely blooms. I'd love to grow camellias and would love to know where you got your 'Wendy's Wish' Salvia and that beautiful purple firebush. I love both of those. 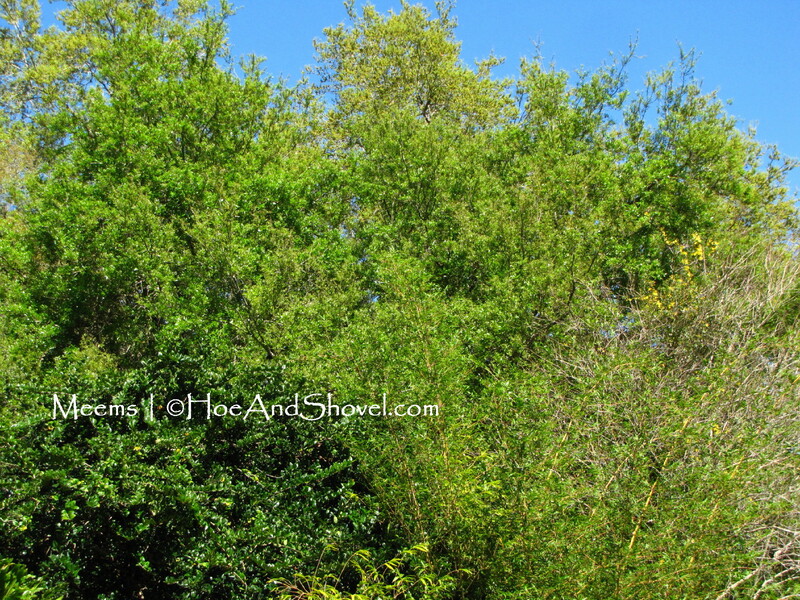 I have the reddish orange firebush. Butterflies and hummers love it. I've got work to do in my gardens too before it gets to be miserable out. Ah, such loveliness in your garden. We are planting seeds like crazy as our veggie garden has been successful of late. Sunflowers, zinnias and more veggies are going in. We're enjoying the lantana coming back and eating sugar snap peas off the vine. Happy Spring! Wow, us northerners do love spring, mostly because our winters are so drab. But a Florida spring is nothing to complain about. Beautiful! 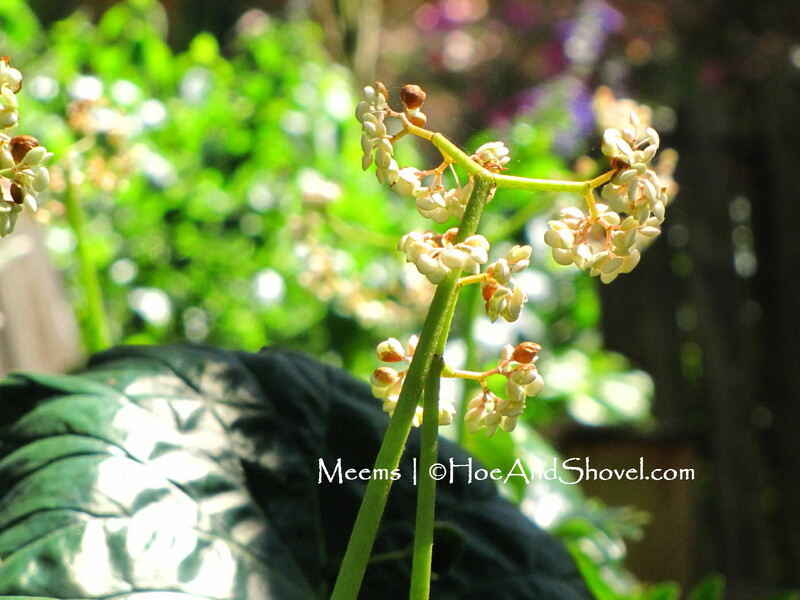 It is wonderful to visit your garden and all the beautiful blooms. One day soon now... sigh. LOL! The azaleas and the lavender bush is just so beautiful. 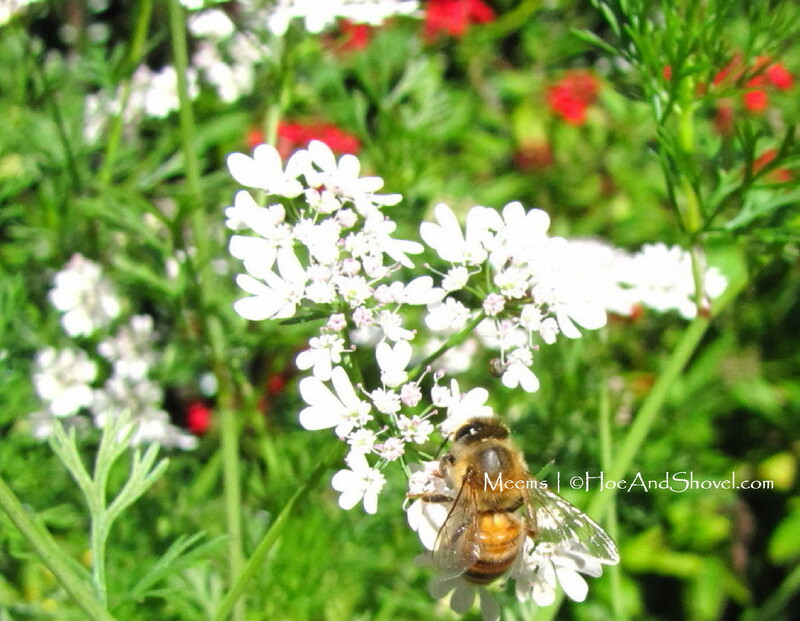 The bees are loving your garden.